In order to understand the launching in 1966 of Structure and Bonding, it is necessary to appreciate the factors which contributed to the emergence of inorganic chemistry as an equal branch of chemistry. A variety of social and economic factors contributed to the transformation of inorganic chemistry from an essentially descriptive subject into an intellectual equal of organic and physical chemistry. 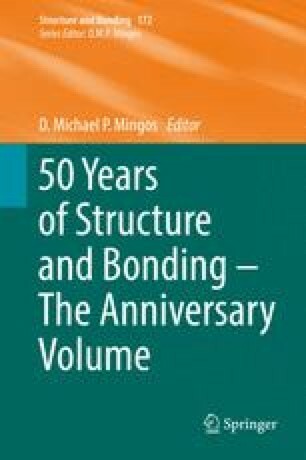 The aims and distinctive features of Structure and Bonding are identified with reference to the initial preface and the composition of the editorial board. The research interests and characteristics of some of the founding editorial board members are introduced and used as a basis for highlighting the important topics which were covered in the initial 50 volumes. Subsequent changes in the character of the journal are reviewed and used to introduce the present anniversary volume. The editorial staff at the Springer offices in Heidelberg have made an enormous contribution to the success of the journal, and on behalf of all the editors past and present and contributors, I should like to thank them very much for their patience and professionalism.